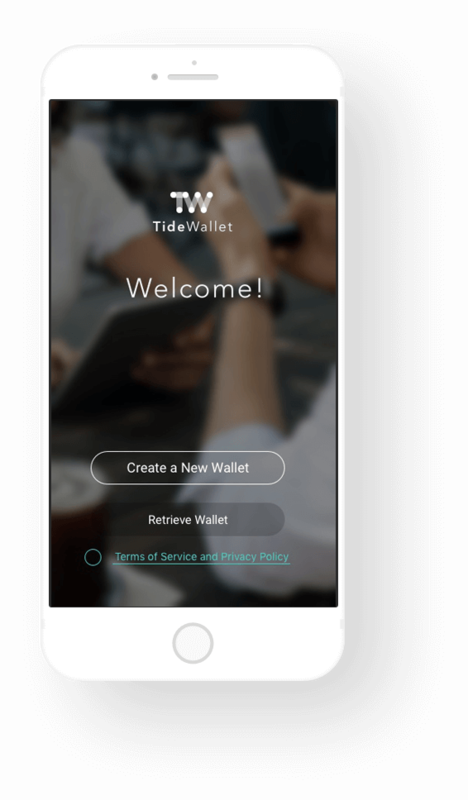 TideWallet is a decentralized multi-service electronic wallet that gives users complete control over their own assets. Users can create a crypto wallet and start managing their assets without giving up their personal information. They are the only ones who know their own private keys, protecting them from the risk of asset theft. TideWallet supports a variety of ERC20 tokens to meet users' diverse investment needs, and connects to various services through a third-party anonymous login system. TideWallet is a decentralized multi-service electronic wallet that gives users complete control over their own assets. TideWallet allows users to manage their digital assets securely and conveniently. Users can manage multiple wallets and ERC20 tokens while connecting to other TIDEiSun Group ecosystem services. Users control their own private keys, eliminating the risk of hacking and asset theft. In addition, mnemonic and Keystore backup services let users juggle multiple private keys and import and export wallets with ease. TideWallet supports an assortment of digital currencies in the ERC20 format, allowing users to manage different currencies at the same time, as well as view their asset profiles in the equivalent values of multiple different fiat currencies. 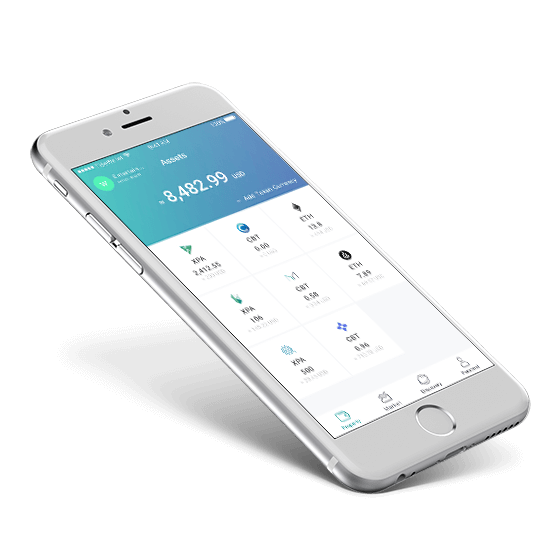 Whether it's creating, importing or exporting, users can manage mutliple wallets at the same time, using different wallets for different situations depending on their own personal needs. 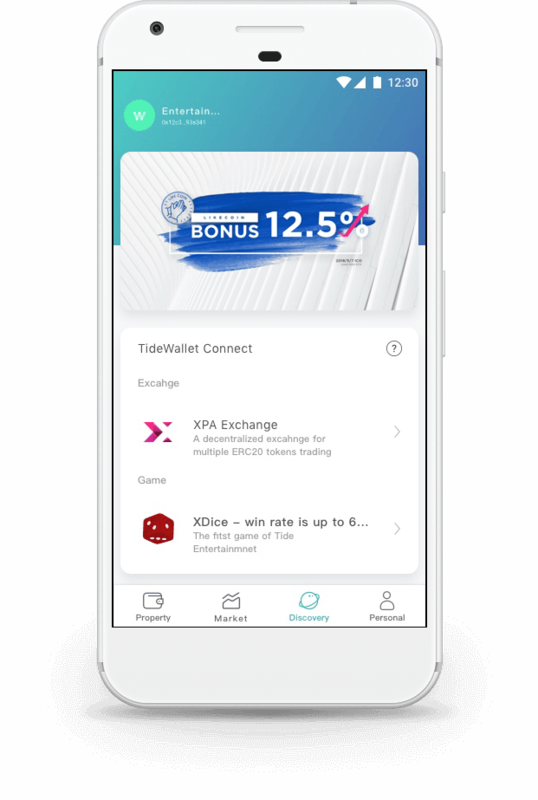 Through QR code scans, TideWallet can link up with the many innovative financial applications under the TIDEiSun umbrella, including e-commerce, exchanges and entertainment services. Users can retrieve their wallets by entering mnemonics or using their Keystores. Select the wallet you want to back up from “Settings”. After entering your password, you can copy your Keystore and back it up wherever you wish. Select the wallet you want to delete from “Settings” and enter the password to delete your wallet. 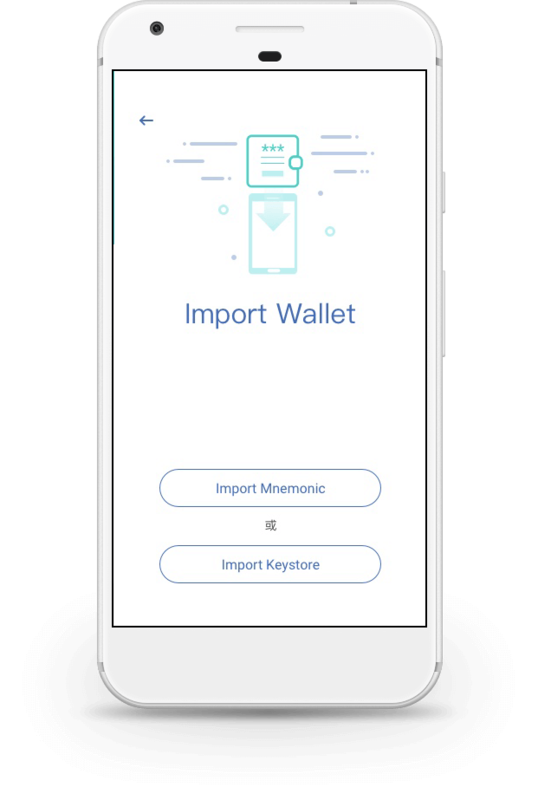 Users can retrieve existing wallets by entering mnemonics or using their Keystores. Why can't I find a currency? Currently TideWallet only offers ETH, XPA, CBT and 25 other ERC20 token functionalities. Why set a PIN and fingerprint identification? 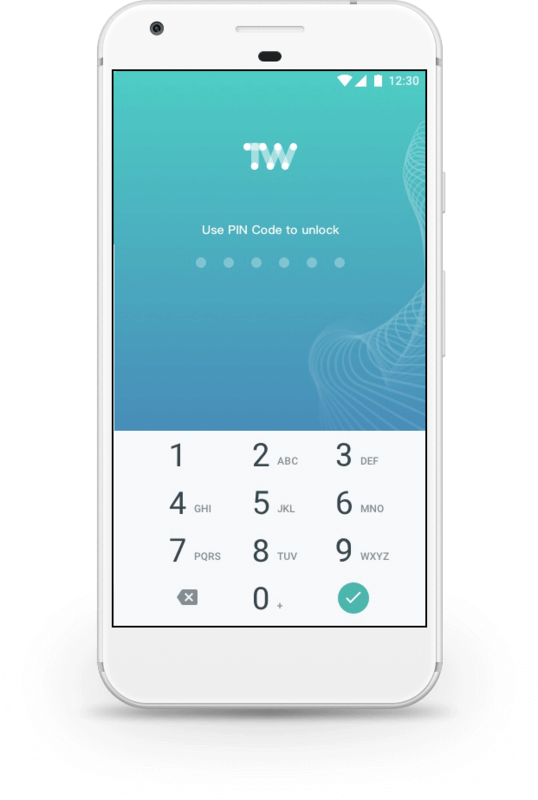 To help users enhance TideWallet’s security and avoid theft of assets, TideWallet will actively ask users whether they wish to set PIN or fingerprint identification upon the creation or retrieval of a wallet. Here you can choose whether or not to use the Touch ID service provided by your mobile phone manufacturer. You can also turn that feature on or off at any time by accessing “Settings”. TideWallet does not store user passwords, private keys, mnemonics or Keystores, in order to protect user assets. We cannot access or retrieve that information. Users can back up Keystores by entering a password and saving their Keystore. Please save the Keystore carefully. 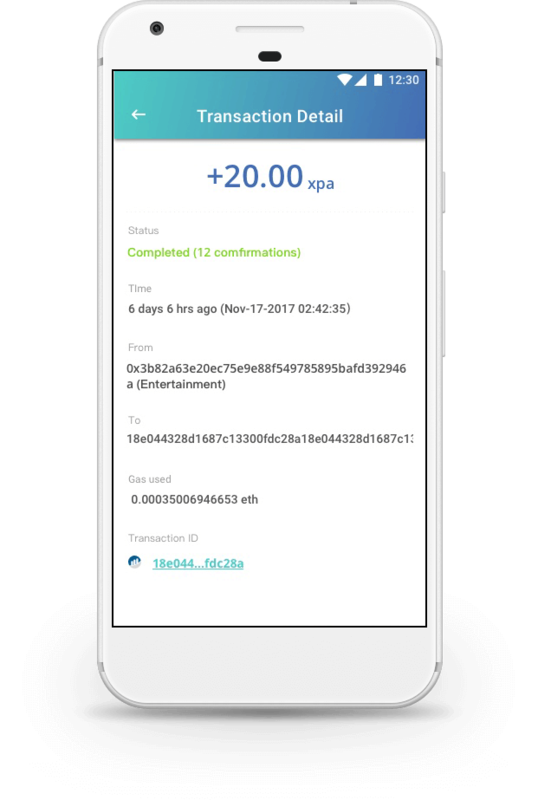 Users can have up to 10 wallets at a time. If they have reached the wallet limit, they will have to delete a wallet before they can create or retrieve a new one. How do I edit my wallet's name? Select the wallet whose name you want to edit from the “Settings” tab, then click “Change Wallet Name”. How do I switch to another wallet? If you have already created or retrieved multiple wallets, you can display a list of your current wallets. Click on the wallet icon in the upper left corner of the Assets tab. 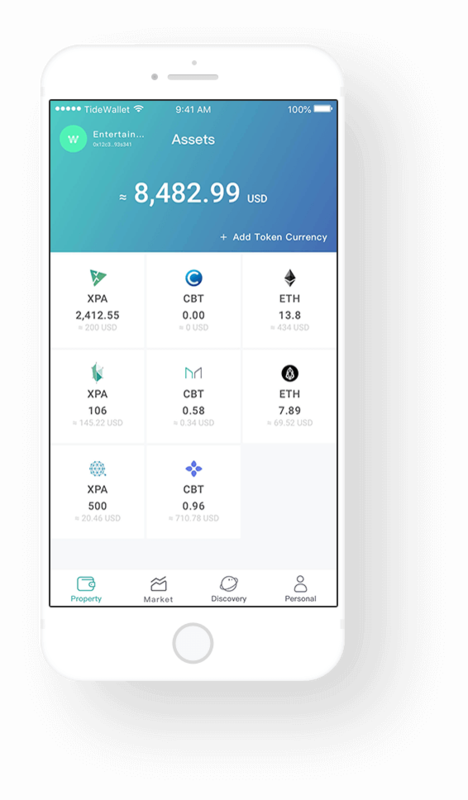 You can also create or import a wallet using this menu. How do I use TideWallet to send or receive money? Switch to the wallet you wish to use and click “Exchange” to conduct a transaction. Sending: Click the “Send” button. You must either scan the QR code or enter the address of the wallet you wish to send coins or money to. Enter the amount you wish to transfer and adjust the handling fee. Press the “Next” button to display the transaction details preview page and review your transaction. Confirm the transaction by pressing the “Confirm” button: TideWallet will ask you for your password to complete your transaction. Receiving: Click the “Receive” button to enter the payment page. 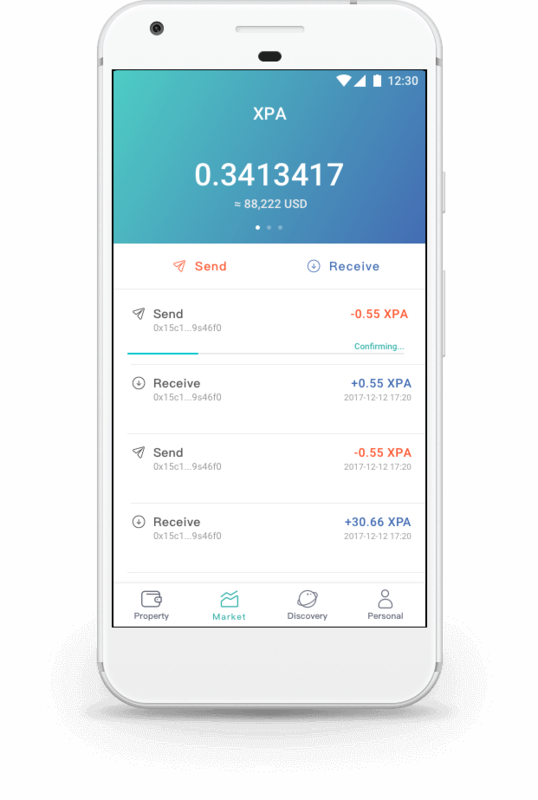 The receiving wallet address and QR code will be displayed on the screen. You can click the “Copy to Clipboard” button in order to copy that information. What should I do if I sent my currency to the wrong wallet address? 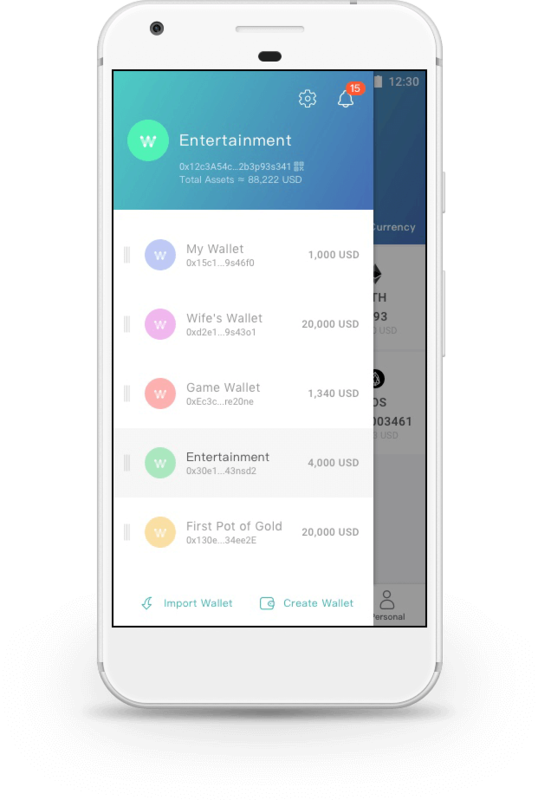 All transactions are authorized by the user through the TideWallet interface. Once the transaction occurs on the blockchain, the blockchain itself cannot be changed. 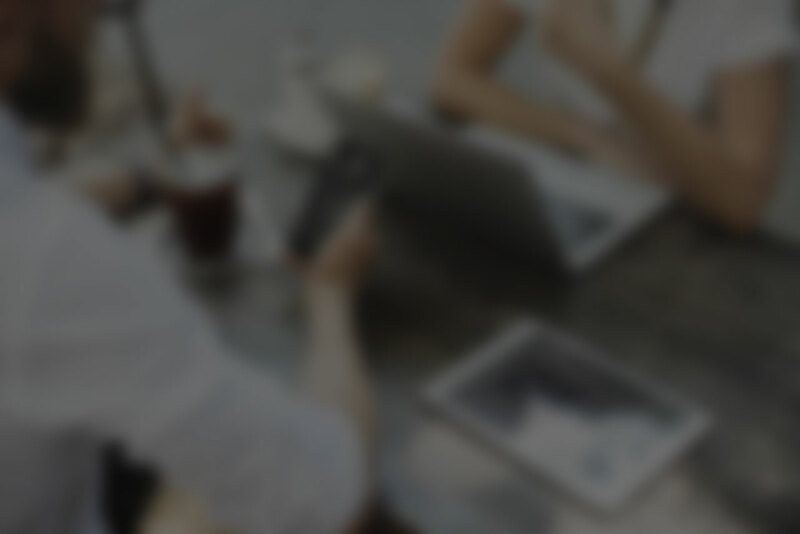 You may be able to negotiate with the person who wrongfully received your payment, but TideWallet cannot assist you in freezing or cancelling transactions. What should I do if my TideWallet transaction has not been completed for a long time? First, go to Etherscan to check if the transaction was successful. If the transaction was successful, please contact your exchange platform. Your problem might be due to the platform’s long review times. If the transaction failed on Etherscan, re-initiate the exchange transaction. What should I do if I have still not received cryptocurrency from an exchange after waiting for a long time? If you do not find any information on the transaction on Etherscan, it is possible that the transaction has been abandoned. Please contact the exchange immediately to request retransmission. If the transaction record has been completed on Etherscan but cannot be found on TideWallet, try reconnecting to the mobile app or contacting us. How do I customize handling fees? The TideWallet system will first estimate and present the basic processing fee that must be paid for the transaction. You can decide whether to increase or decrease the fee for miners when you initiate the transaction. You can also enter “Advanced Settings” to set a custom default processing fee. Use uncommon passwords that are as complex as possible. Be sure to remember your keystore password. TideWallet does not store your passwords, so if you forget your password it will be lost forever. Note: Keystore passwords are unique and unchangeable. If you wish to change your password, you must re-import your wallet via mnemonic and use the Change Password feature to generate a new keystore. Use physical media backup as much as possible, such as using a pen and paper. Screenshots and digital records make your mnemonics vulnerable to hacker access. Verify that the backup mnemonic is correct. Make sure to double- or triple-check. Keep your backup mnemonic in a safe place. The handling fee is a fee paid to miners. Under normal circumstances, the fee is based on the amount of data used in the transaction. At present, the trading speed of Ethereum is about 20 transactions per second, which is much smaller than the speed at which traditional institutions like VISA can process. During peak hours, sometimes there are so many transactions that traffic jams occur. At that time, miners will prioritize transactions with higher handling fees to record to the blockchain. Only transactions that have been recorded to the blockchain have been completed, and only then will the recipient be able to use the received currency.